If the perks of work at home environment option appeal to you, then you will enjoy working with Westat. Westat is a reputable company that provides work at home jobs to people who want to work from their own home, and are experienced in call center or customer services jobs. Westat hires home-based workers for Telephone Data Collection positions. 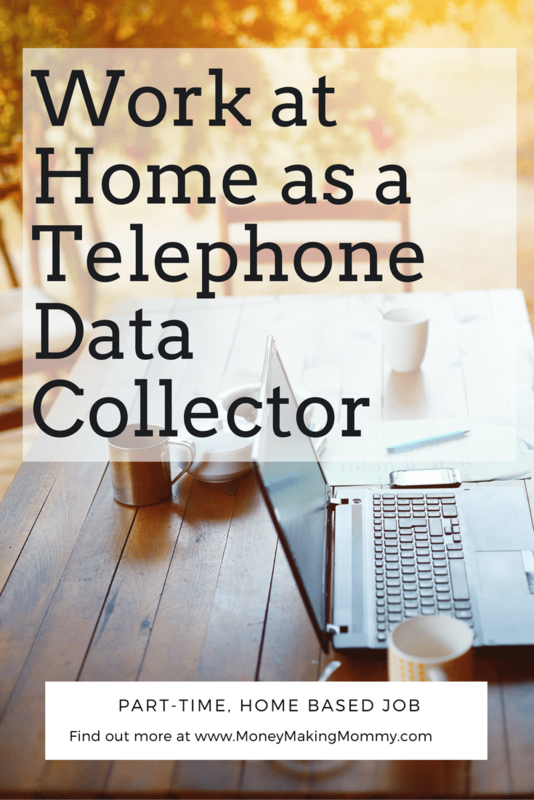 If you want to make money working from home for Westat, then you may want to apply for a position as an at-home Telephone Data Collector with this company. Founded in 1963, Westat is an established employee-owned research corporation and one of the leading statistical survey, research, and communications organizations in the USA. This company has expertise in data collection and management, clinical trials, statistical research, survey methods, evaluation, communications, and social marketing. The company collects research data, conduct studies, and perform surveys for their clients ranging from agencies of the United States government to universities to foundations to businesses and local state governments. Westat offers flexible work from home jobs in part-time, freelance, temporary, and telecommuting positions. If you are interested in a work at home job opportunity with this company, then working as an at-home telephone data collector could be a great fit for you. (See my big list of Customer Support Jobs here. I've also got a big list of NON-PHONE Work at Home Jobs too.) Having flexible schedules is key for many wanting to work from home, and that's why Amazon Flex Jobs and Instacart are super popular. They let people pick and choose when they want to work. Once you have been accepted or hired, you will need a quiet place to do training provided to you, and interviews. As a Telephone Data Collector, you will be making outbound calls to pre-screened people to complete a survey for a particular agency or business such as a government agency, university or business. Most of the pre-screened people that you will be calling will have already been sent a letter by the particular agency or business you will be doing the telephone survey for, asking for their participation. In fact, in many cases, the respondents have been even paid a small amount of cash earlier to complete the survey. You will be asking the pre-screened people if they would be willing to help you out to complete a survey for the particular agency or business. You will be following a script designed by the agency or business you will be doing the telephone survey for. Keep in mind that not following the script often can lead to reprimands or even dismissal from the project since the way the script is designed is to ensure it serves a specific purpose or more. Although you are not selling anything, the challenge with this job is to persuade others to take a survey by telling them how the study can benefit them and the community. You will need to use your skills of persuasion. This is actually less challenging than it sounds. Many people generally are happy to help. It is important that your refusal rate is not high. Some projects have better cooperation rate while others have lower cooperation rate. Westat is always looking for people with good communication skills. When you are hired by Westat, you will be assigned to a project. You can work more than one project at a time, depending on if you are accepted for multiple projects and your schedule. It has recently been reported that Westat does not hire for this particular job often. And even when a new project is advertised, the hours are very limited. What Skills and Experience Do I Need to Work for Westat? If you meet those requirements, you can work days or nights, weekends or afternoons, holidays or special event days, depending on the project and your schedule. You can work the hours you want, provided they are available to work. How Much and When Do Westat Agents Get Paid? According to the information I have found on various reputable sites, pay is $8.25 per hour for this position (unless the information I have found about pay rate for the position is outdated). If you are hired as a bilingual agent, the pay is $10.25 an hour. Also, if you work after 9 p.m. on weekdays, or on weekends, you will make an additional $2.00 per hour. You get paid weekly on Friday by direct deposit of your check or you may choose to wait to receive your check via US Mail. The greatest benefit you could get working for Westat is work-life balance. Westat does not offer workplace related employee benefits to At-Home Telephone Data Collectors who work part-time. The company used to hire Telephone Data Collectors to work full-time from home. And those who used to work full-time from home could be eligible for employer-sponsored retirement plan 401(k). However, currently, the company tends to hire for part-time positions. Keep in mind that at home workers do not get health benefits, bonuses, vacation time or any paid leave at all. Of course, you may get approved to take leave to go on vacation but you do not get paid. The job offers great flexibility. Once you are hired for a particular project, usually you are able to choose which hours you are able to work and how many hours you are available to work. The company will select a schedule for you based on what and how many hours you have chosen. Westat is a really good company to work for if you want a job where you could be home and work the hours you want, provided they are available to work. You get paid weekly by direct deposit. You can work in your pajamas from your own home. If you are looking for a little extra income, then working as a telephone data collector for Westat can be a great part-time job for stay at home moms, retirees or students. Unfortunately, this position is not on an ongoing hiring basis. You will need to check their “professional positions” job page and do a search periodically for the position of “Telephone Data Collector”. You can do that search here. But if you're interested – it's good to keep in mind and come back and search often for the best chances of applying. Unfortunately, this position is not on an ongoing hiring basis. You will need to check their “professional positions” job page and do a search periodically for the position of “Telephone Data Collector”. You can do that search here. But if you’re interested – it’s good to keep in mind and come back and search often for the best chances of applying. how do we apply ,I didn’t see a link or apply button? I worked for Westat for almost ten years. They are a great company but please note this is not steady work. This work is based on a project-project base. Once the project is done, it could be weeks or months before you are provided another study to work on, it just depends on how much work they have available. The end of the year is usually when there is less work as funding for research studies is usually almost depleted at the end of the year. But I loved working for them, I just needed something more reliable.